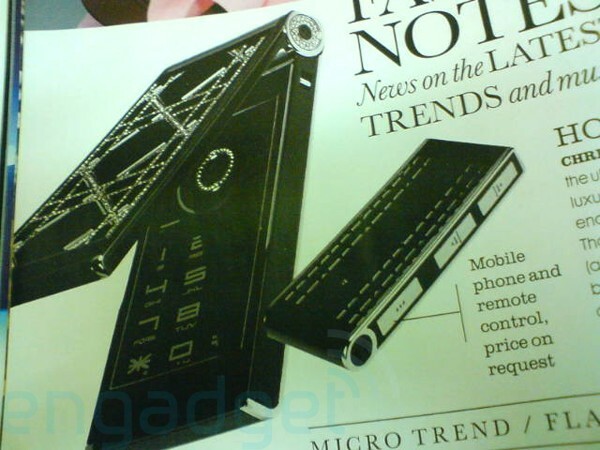 Christian Dior has finally come out with its own branded cell phone. Taking a whole totally different design concept from the LG PRADA. The Christian Dior phone comes embedded with swarovski crystals and will feature a touchscreen display, camera, and novel, mini-phone extender, and will be about the size of a USB key. An official announcement from the company will be released this Friday (May 16,2008). The phone was made in partnership with a french manufacture called Mode Labs which has produced cell phones for TAG Heuer’s & Levi’s. Dior’s new phone will work anywhere in world, except in Japan and Korea, where it isn’t compatible with local wireless networks. The Dior phone is priced higher than rival fashion phones, and most closely priced to the premium cell phone manufacture Vertu, which also starts in the $5,000 range. Dolce & Gabbana, Prada and Giorgio Armani all have phones out that cost around $600. 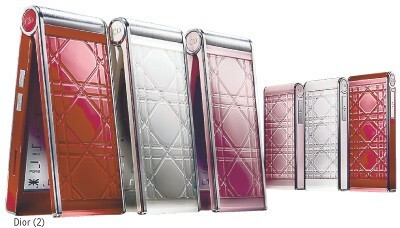 Mr. Toledano said the idea of creating a Dior phone was driven by demand in new luxury markets such as China and Russia.